In a reversal of stated policy, the Conservative-led government is moving ahead with a key “gold-plating” initiative that could rile backbench Tory MPs as well as rank-and-file Conservative Party members, Breitbart London has learned. Last week, the government notified the European Commission of its intent to proceed with a controversial tobacco plain packaging law whose provisions actually exceed what is set out in the much-criticised EU Tobacco Products Directive. But the government had previously announced an end to gold-plating, stating in December 2010 that it would no longer engage in the practice by which EU member states go above and beyond the provisions of EU directives when incorporating the directives into their own bodies of law. Mandating standardised cigarette packs was debated, but ultimately not pursued, when the EU recently revisited the content of its Tobacco Products Directive. The government had previously resisted calls for plain packaging, just as the prior Labour Government had, but now looks set to flip-flop on both its prior commitments regarding standardised packs and gold-plating. Backbench Tory MPs have been vocal in opposing standardised packs, arguing that if they are mandated, the Conservative Party could suffer losses to UKIP, which has been vocal in opposing the policy. Priti Patel, another vocal opponent of the policy, has said that it would be the “final nail in the coffin” for newsagents nationwide. The Sun has also noted Westminster buzz that the vast majority of 1922 Committee members oppose plain packaging. Observers believe backbench MPs could still derail the move, especially if further concerns are raised in view of perceived interest in UKIP on the part of traditional Conservative voters, such as those in recently-defected MP Douglas Carswell’s constituency. 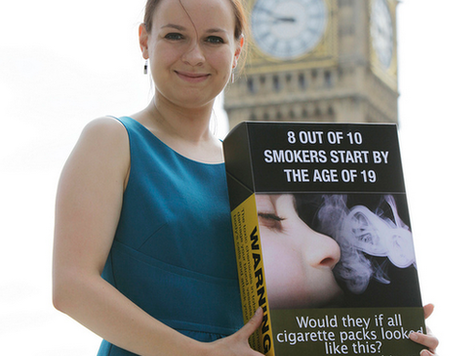 However, the government has shown no signs of publicly walking away from plain packaging to date.